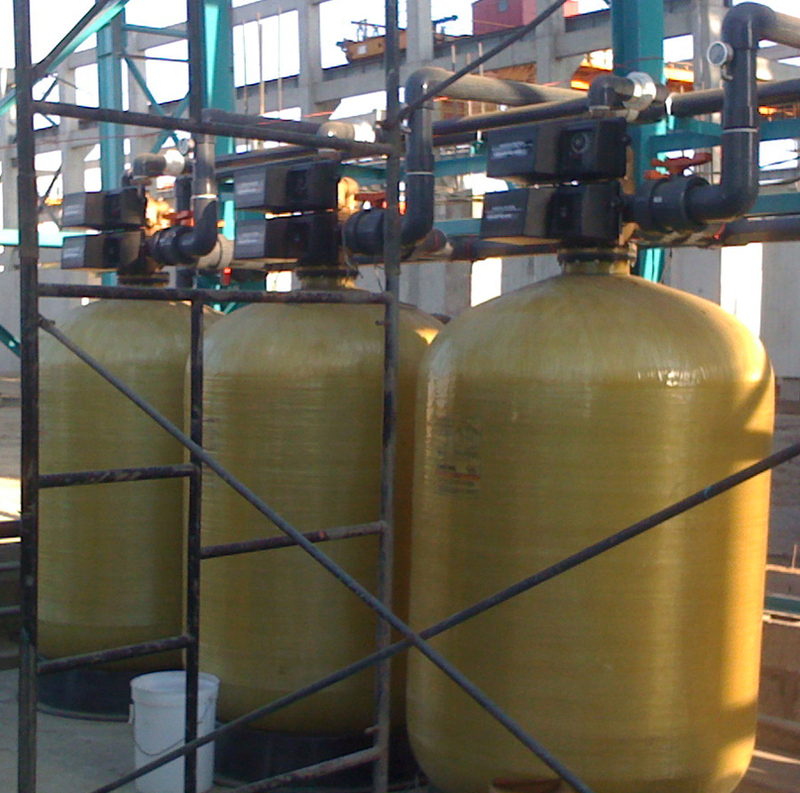 Manganese Greensand Iron Filters with Fleck Control Valves | Applied Membranes Inc.
Manganese Greensand is capable of reducing iron, manganese and hydrogen sulfide from water through oxidation and filtration. Manganese Greensand is formulated from a glauconite greensand which is capable of reducing iron, manganese and hydrogen sulfide from water through oxidation and filtration. When the oxidizing capacity power of the Manganese Greensand bed is exhausted, the bed has to be regenerated with a weak potassium permanganate (KMnO4) solution. *Manganese greensand filters with tank diameters up to 14" can be regenerated intermittently, and the regeneration feed is included. Filters with tank diameters of 16" and larger require continuous injection of potassium permanganate which will require a tank and feeder. 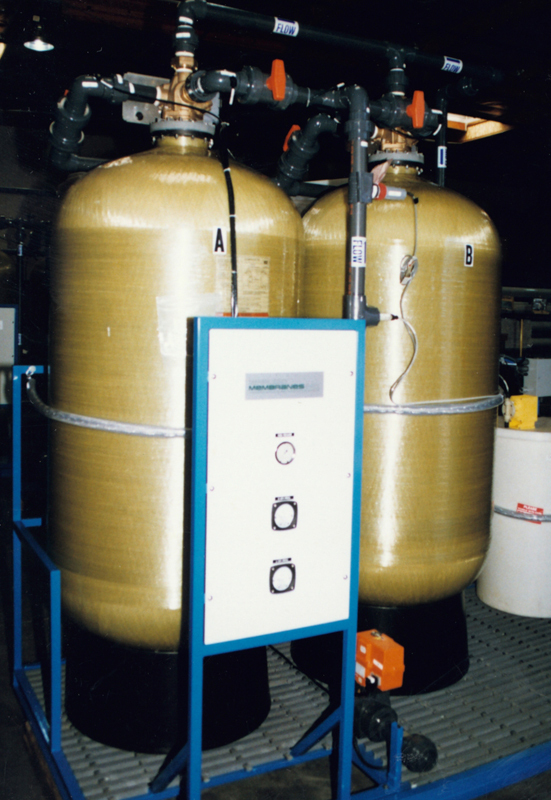 The size of the injection system (sold separately) will depend on the water quality. ** Manganese backwash filters are available with several options of valve voltages. Please add the appropriate voltage code to the end of the model when ordering. ***5 gpm per sq. 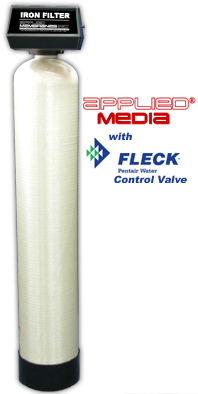 ft. of media is the best design condition for filtration. For relatively clean water, you may go up to design criteria of 15 gpm per sq. ft. Backwash flow rate based on 25 psi pressure drop. Stainless Steel Jackets are available for 9” to 16” Diameter Manganese Greensand Iron Filters. To include a SS jacket with your manganese greensand filter, please add the appropriate part number below to your RFQ or order.